The U.S. Army's Career Navigator is a great resource to help you decide if a career in the army is right for you. With Career Navigator you can view over 230 U.S. Army Careers, learn how the army can help you get a college education, watch videos, see how you will transition from Civilian to Soldier in Basic Combat Training, and learn how your career will progress. And you can do all of this in the comfort of your own home with the support of family and friends. 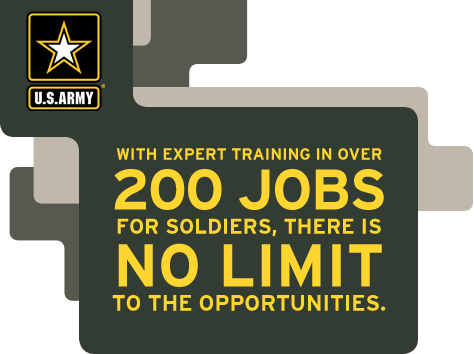 If you decide you'd like to learn more about a career in the U.S. Army, you can even use the app to find and contact a local recruiter. Download for either Android or iPhone devices. A powerful search feature for finding your career quickly. Users can use the app to find and contact a local recruiter. Designed for Recruiters to use with civilians, the free Career Navigator App can also be downloaded by prospects who want to research opportunities in the Army. Geared towards civilians, this easy-to-use app allows users to explore Army careers with an interactive app on their mobile devices where they can investigate all aspects of what it means to be a Soldier from careers to benefits to lifestyles to training. Users will also be able to find the nearest recruiting station using the mobile device’s built in GPS functions. The Career Navigator App presents background information on Army history, Army life, the breadth of career options, and information about the recruiting process. Careers are highlighted in a presentation of featured careers that will change on a regular basis. Users can also explore over 230 MOS’s by browsing the careers, using a text search, or using a filter such as Enlisted or Officer, Active Duty or Reserve, open to women, or entry level, which would narrow down the careers displayed. Insight on the Army including information on Active Duty, Army Reserve, Enlisted, Officership, and how civilians become Soldiers. Career details for each MOS including designation, duties, special career requirements, training, benefits, and compensation. Benefits information to include educational benefits, career training and skills, pay compensation, allowances, and bonuses. A direct connection where users can use the app to find and contact a local recruiter.